In a medium bowl, combine the garlic, white wine vinegar, Herbes de Provence, honey, grapeseed oil, salt and pepper. Stir well to combine. 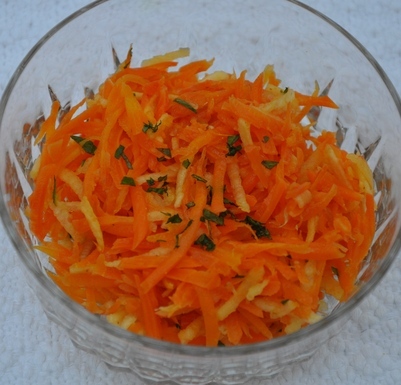 Add the shredded carrots and toss to combine. Adjust seasoning to taste.